Frequent hand washing is often necessary but chapped hands don't have to be the result. 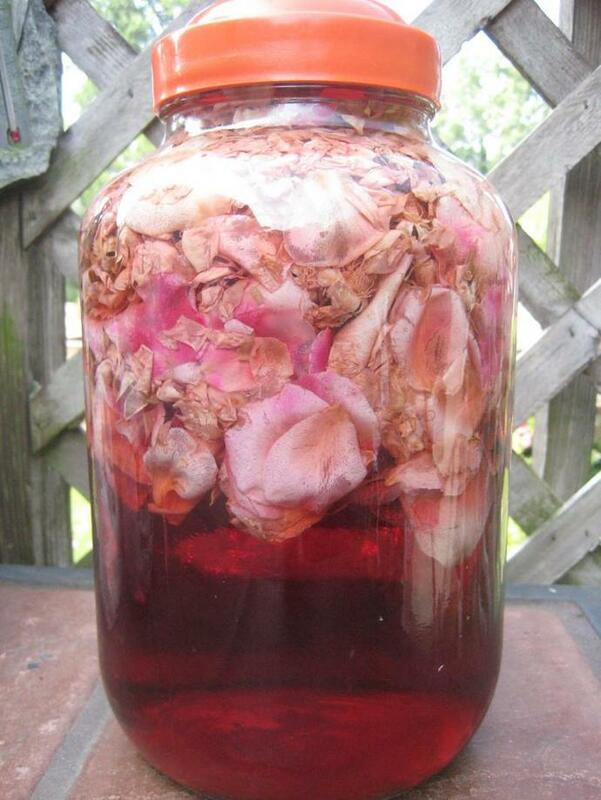 Back in the day women would combine rosewater with glycerin to make a moisturizer they called "rosewater splash". For those of you who want a lotion rather than a liquid we've created our Elegance of Rose 'n Glycerin Hand and Body Lotion. A good lotion should be rich enough to do its job without the necessity of constantly reapplying because it was too thin from the start. You only need a bit to do the job so this 8 oz bottle will go a long way. 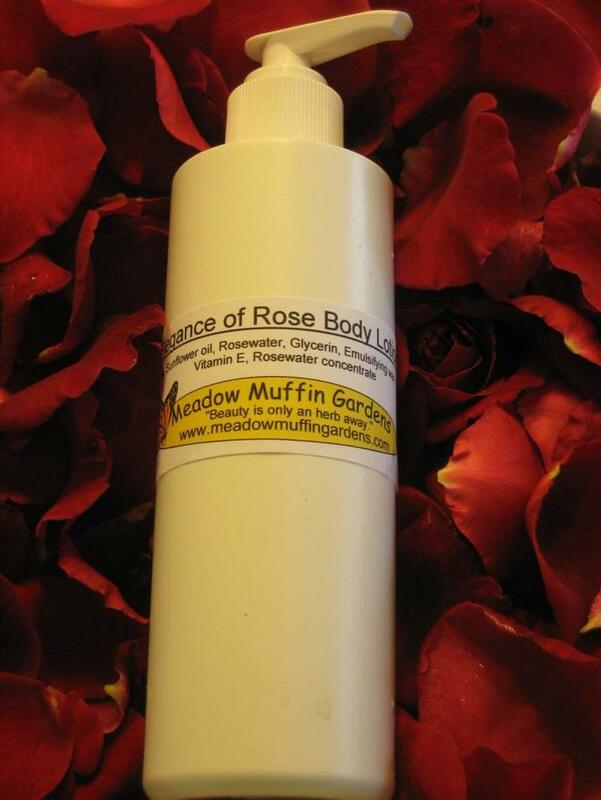 Elegance of Rose 'n Glycerin Hand and Body Lotion is a smooth creamy formula utilizing the oil of nourishing sunflower seeds, vegetable glycerin, and a beautiful blush rosewater. 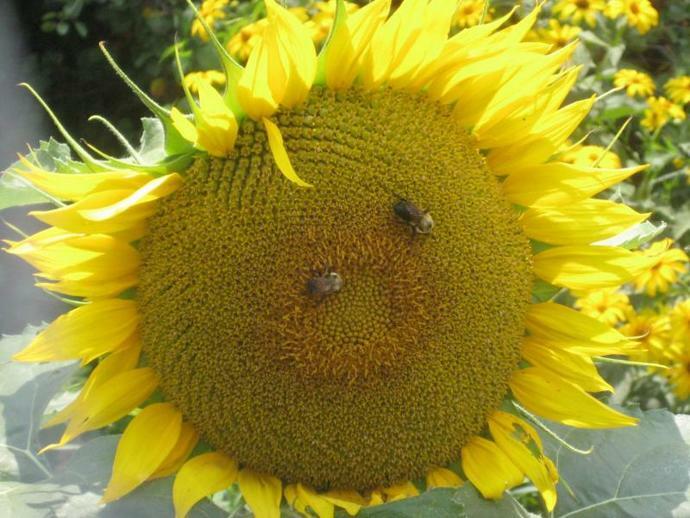 High in essential fatty acids, sunflower oil is a wise choice for those with dry, sensitive or mature skin. Oils have varying absorption rates and helianthus oil has the advantage of moisturizing without leaving a greasy residue. It has been said that flowers nourish our every sense. 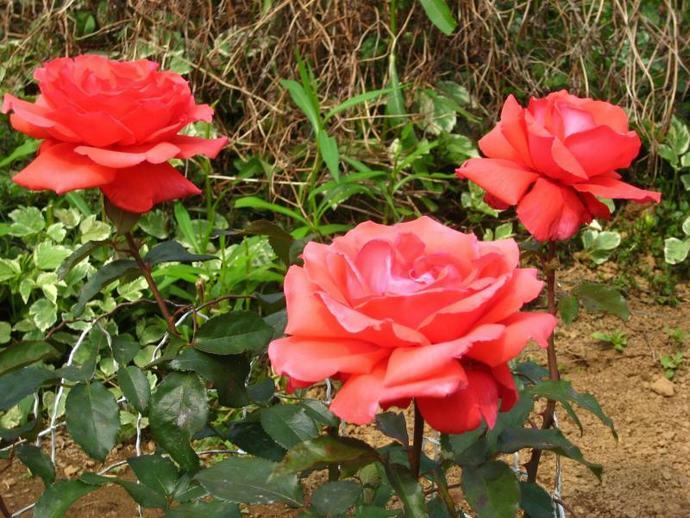 Just being around roses brings a touch of romance and elegance into our lives. 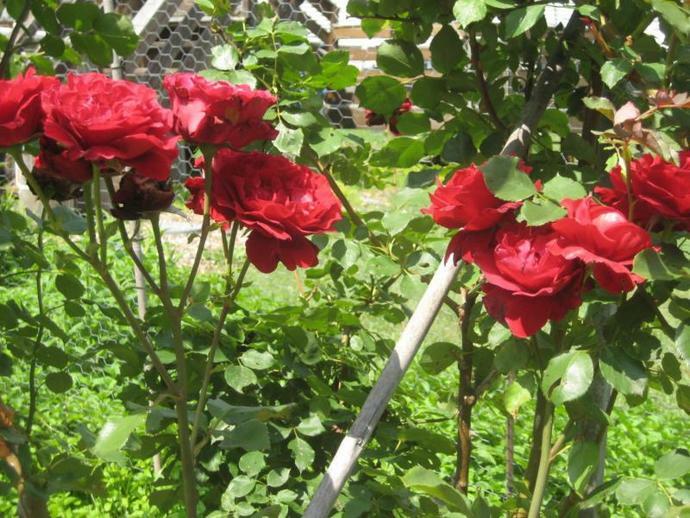 We gather our own organic rose petals or purchase them through a reputable, organic company and make an infusion utilizing the heat of the sun to draw out the rose's wonderful qualities. 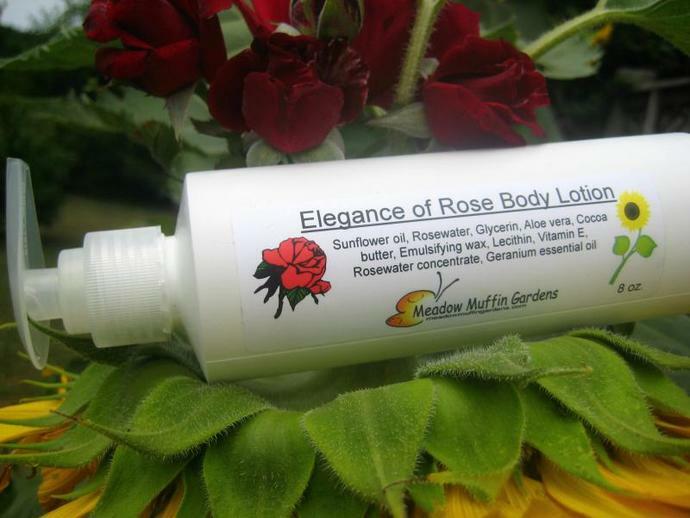 Slightly acidic due to the vitamin C content, the rosewater adds a toning factor to this lotion. Glycerin is added as a humectant which is useful for maintaining moisture in dry skin. Aloe vera is not only soothing but has many skin reparative benefits. Then we have cocoa butter which helps to seal in all that added goodness. Emulsifying wax comes from naturally occurring esters and fatty acids from the Palm Kernel plant and is processed into a pastille flake form. Palm Kernel oil (Elaeis guineensis) is derived from the fruit's seed. I use emulsifying wax for the body lotions rather than beeswax (which is used for the facial creams) because due to the higher water content in the lotions, the emulsifying wax seems to work better to prevent the oil/water content from separating. Useful as a hand or a full body lotion you won't find yourself needing to reapply it as often as you may be doing now. Being a richer, higher oil:water ratio than you may be used to, you don't need a lot at a time. Using too much at a time results in it taking longer to absorb and you may interpret that as it being greasy. Items are made in small batches as they are needed. The concept behind this shop is for the consumer seeking all natural products with the understanding that the items are not intended to sit around and natural preservatives are used. Natural preservatives normally used in the creams are antimicrobial grapefruit seed extract, antioxidant Vit. E and the concentration of essential oils. What this means is that while these natural preservatives deter the growth of bacteria and molds, they are not broad spectrum and only offer a limited shelf life. Being the risk of contamination and loss of potency over time is present in any perishable product, please try to use the item within 3 to 4 months. Products which contain water such as the creams and lotions are the most at risk for contamination. The salves, containing no water, are very stable as is and are fine for months. Keep any of the products in a cool location, and out of exposure to heat and sunlight. Refrigeration will extend the shelf life of perishable items. The body lotions contain a higher water content than our facial creams, therefore being a higher risk for mold and bacteria growth outside of refrigeration I do use a synthetic preservative in the body lotions. I use a broad-sprectrum product called Optiphen, a paraben and formaldehyde-free preservative. Optiphen is a globally approved preservative system created by ISP consisting of Phenoxyethanol and Caprylyl Glycol. Please let me know if you prefer it not be used upon ordering. Body lotions come in an 8 oz plastic bottle or if you don't want it in a bottle you can choose it come in a plastic jar. You choose the type of top at check-out, either a pump or a pop-up cap. If you have a preference of the bottle please let me know. 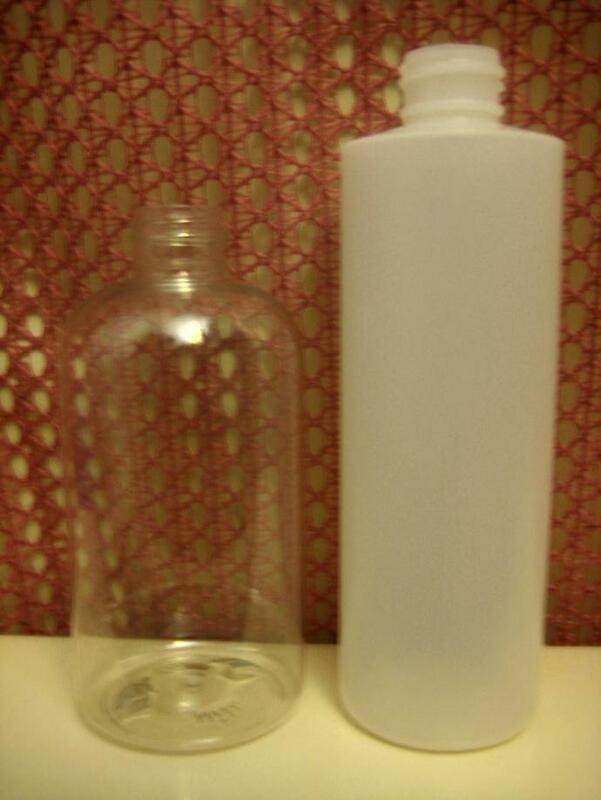 Pictured above are the white or natural #2 HDPE or clear #1 PET plastic, all easily recyclable. The clear PET plastic bottle is the boston style bottle so even though it looks smaller than the taller #2 HDPE bottles, both types hold 8 oz. "Amazing, silky, moisturizing decadence! I love this stuff...I was initially a bit cautious fearing it would smell like my grandmother's old perfume, but it really is quite classic and feminine. I will definitely be purchasing it again!"